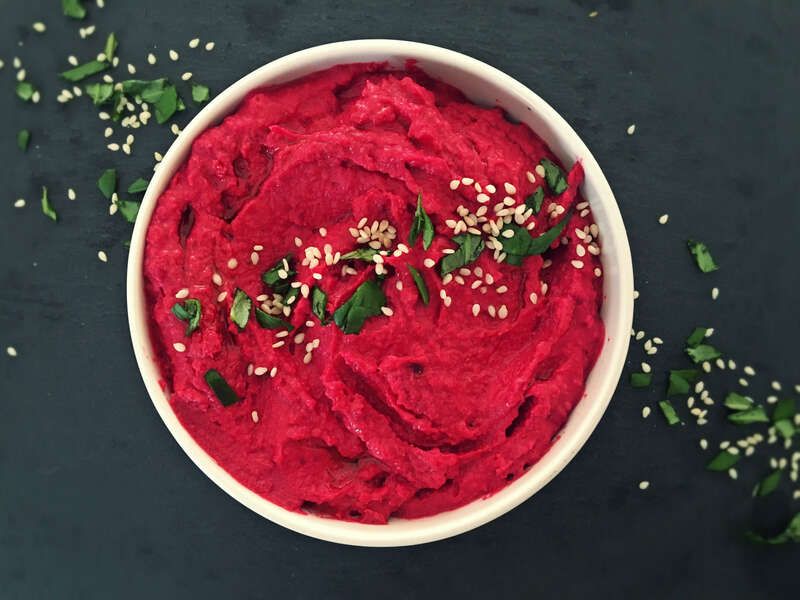 I thought the taste of beetroot would overpower the flavours of the classic hummus, but my boys and I agree we much prefer the slightly sweeter taste of beetroot hummus. The hot pink colour makes a bright addition to any plate or rainbow bowl, and is a delicious spread on crackers with cucumber or smeared on a veggie burger instead of mayo. Beetroot has so many incredible health benefits. Beets help relieve fatigue, fights inflammation, beats constipation, lowers cholesterol and has an abundance of folic acid. This recipe is simply the classic hummus with added roasted beetroot. I often make a double batch of the classic hummus, and add roasted beetroot to half of the batch. 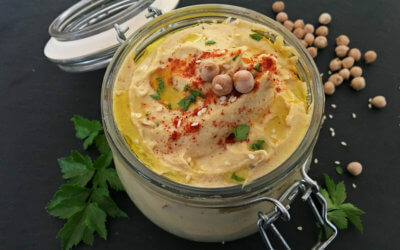 Which is your favourite hummus flavour? Drain the chickpeas from the can. Keep the brine (aquafaba) as there are many uses for it! Rinse the chickpeas in a sieve under running water. If you want a smooth hummus (and have time & patience), remove the outer skins from the chickpeas. I shake the chickpeas in the sieve which loosens the skins. I take out as many as I can. Place the chickpeas and roasted beetroot in the processor and process. Add olive oil, tahini, garlic, cumin and the juice of a lemon into food processor and process until smooth. Add water if needed to get desired consistency. 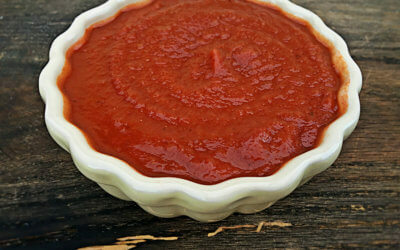 Add a fair amount of salt and a pinch of pepper according to your taste and process again. 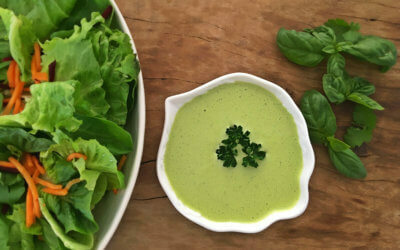 Place mixture in container or bowl of choice and garnish with sesame seeds and finely chopped fresh mint. * You can use raw beetroot if you have a powerful processor and process for longer (otherwise you’ll have bits).